Canada has renewed its Copenhagen commitment to reduce greenhouse gas emissions from current levels of around 730 million tons (Mt) to 607 Mt by 2020. While the government is promising to do its bid by investing in environment-friendly projects, such as the Lower Churchill River hydro project and clean coal project at SaskPower's Boundary Dam generating station, academics and researchers are pushing boundaries to come up with innovative ways to incorporate biodiesel into our daily lives. Through the support of Mitacs Accelerate, John Ashley Scott, a professor of biochemical engineering at Laurentian University, and Greg Ross, associate dean of research at the Northern Ontario School of Medicine were able to assemble a multi-disciplinary, multi-company research venture undertaken by seven Mitacs Accelerate interns. Involving both a school of process engineering and of medicine this project investigates the potential use of microalgae to produce carbon-neutral fuels and develop pharmaceuticals from microalgae grown on marginal land. 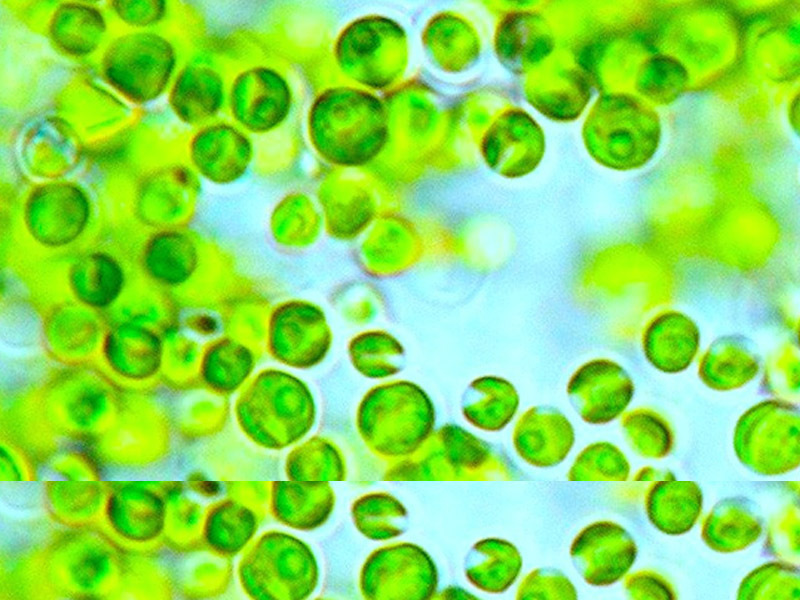 Microalgae are the microscopic green plants found floating in fresh water. What many of us may already know is that microalgae produce oxygen and absorb the greenhouse gas carbon dioxide. But what is novel about John Ashley Scott’s research is the observation that microalgae can capture solar energy 10 to 50 times more efficiently than terrestrial plants do in producing oils as lipids. As a consequence, microalgae can produce significantly more feedstock per hectare, in the form of lipids, which can subsequently be converted into biodiesel. Scott and his fellow researchers estimate that if microalgae were used to produce biodiesel, less than 3% of the USA's total cropping area would be sufficient to meet 50% of the country's annual transport fuel needs. The solution to Canada’s greenhouse gas emissions provided by Scott is nothing short of genius. The research project proposes the use of large tracts of marginal or non-productive land to host microalgae production facilities, thereby avoiding the pitfalls associated with uptake of agriculture, forested or virgin land. The researchers will use large supplies of waste heat to allow all year round production; and large volumes of carbon dioxide to enhance microalgae production rates. And all of that is happening in our own backyard, in Northern Ontario! Northern Ontario possesses marginal or non-productive lands suitable for location of large-scale microalgae bioreactors. In particular, land associated with the power, mining and minerological industries. These industries also generate large outflows of underutilized waste heat and carbon dioxide in the form of off-gasses. Researchers are actively working to use this land, heat and carbon dioxide for development of a substantial green energy economy through the enhanced production of microalgae, a project supported and funded by Mitacs Accelerate grant. Mitacs links businesses, government, and not-for-profit companies with over 50 Canadian universities. They collaborate to develop cutting-edge tools to bolster Canada’s knowledge-based economy. The funding covers the hiring of seven interns over two years. On this project, Mitacs Accelerate researchers are partnered with AI Insulation Systems and Sussex Research, Ottawa. Xstrata Mining is providing land and other resources near Sudbury, Ontario.